I thought Uber and Lyft were pushy, until Microsoft tried to install Windows 10 on my computer without permission one night. I unplugged the power cord to stop the automated process, then ran a freeware program to eliminate the Windows 10 pop-ups and taskbar button. Take that, Microsoft. In its way, under the new Hindu management, the precariously dominant software firm is as pushy yet incompetent as some of the curry recruiters who presume to contact me. One disrupted my replenishing savoir-faire at 8 p.m. and had the nerve to complain I didn’t reply to the mumbling message he left on my answering machine during the day. “That’s because I was at work,” I said. Transiting from the humid outdoors to the frigid office induced a cold a few weeks ago. The cold pushed my voice into a baritone register, so to speed recovery I entertained myself by imitating the insinuating style of Mr. Lou Rawls. After all, a mime is a terrible thing to waste. The May 29 Telegraph reports the youngest generation with disposable income – vaguely, the kids these days – is buying print books as a status symbol. However, I suspect the flux of technical platforms and limitations of reading books on handheld computers has made printed books, a proven method for centuries, more appealing. Not that I don’t appreciate being able to read obscure or dissenting, or obscure dissenting, books at various Web sites I access with PCs. “PIMP,” the new paperback original co-authored by Ken Bruen and Jason Starr, may be the snarkiest crime novel ever. wines that Texas’ terroir naturally favors. July 2: I attended the hot rod show at Top Notch Burgers, and then a salsa social. The local salsa scene is slowly reemerging from its near coma. Various events held during earlier hours have been well-attended by former regulars who’d disappeared. Turns out they weren’t disenchanted with the scene, or pursuing jobs in other cities, just sleepy. The May 27 Chronicle includes lachrymose features on blacks and musicians being priced out of Austin. The same issue also uncritically quotes Mayor Steve Adler that city spending, and by implication, city policies, aren’t responsible for exacerbating the local cost of living. In other words, the Chronicle will shed crocodile tears for two of its favorite groups, but continue to support policies that help make their dispossession possible. The June 23 Noka reports that Houston has spent millions less for better police body cameras than what the Austin City Council just bought. Construction on MoPac Expressway continues to lag behind schedule. The June 10 Austin Chronicle displays ugly racism and cultural insensitivity by denouncing Uber yet again, this time for accepting Saudi Arabian investment money. The greaseball Nick Barbaro waxes indignant about the Saudis prohibiting women from driving and locking homos in prison, but if he were really consistent, he’d call for drone strikes against Uber. The May 13 Chronicle runs a hand-wringing feature on two chain breweries opening in town – one of them in a part of the neighborhood that boasts a notable number of them. The Chronicle followed in its June 24 issue with a review of The Domain’s new taverns and eateries in its usual fashion. Jimmie Vaughan performed at The Domain’s Lone Star Court on May 13. I attempted to patronize a May 28 free flea market at Industrial Terrace, but other drivers blindly careening from nearby parking lots in my direction put me in such a snit that I promptly returned home without ever looking at the merchandise. Let that be a lesson to you, local artisanal merchants. On June 16, KLBJ-FM reported another collision at MoPac and Braker. On June 20, KTAE-FM reported yet another collision at MoPac and Braker. On June 24, KGSR-FM reported a collision on the 183 frontage road at Burnet. The Statesman’s Traffic Web page reported incidents on May 17 at Metric Boulevard and Kramer Lane, on May 19 at Braker and Domain Drive, on May 20 and May 26 at MoPac and Braker, on May 23 at Cedar Bend Drive between Running Bird Lane and Metric, on May 26 on MoPac near Duval, on May 27 and June 6 and June 24 at Parmer Lane and MoPac, on May 29 and June 15 at Braker and Burnet, on June 1 on a Highway 183 exit ramp near MoPac, on June 6 at MoPac and Loop 360, on June 7 along MoPac’s northbound frontage road, on June 9 at Metric and Rundberg Lane, on June 16 at Burnet and Rutland Drive, at MoPac and Duval on June 20, on Parmer between Rampart Street and Lamplight Village Avenue on June 22, on June 24 at Metropolitan and Rutland drives and at Braker between Burnet and Kramer, and on July 1 at Metric and Cedar Bend Drive. On May 26 and 28, late-night thunderstorms briefly knocked out power to my apartment. An eatery, an athletic apparel store, a flooring wholesale showroom, a smoke shop, a salon, and a thrift store have opened in the neighborhood. A urologist’s office closed. Johnson, Steve. 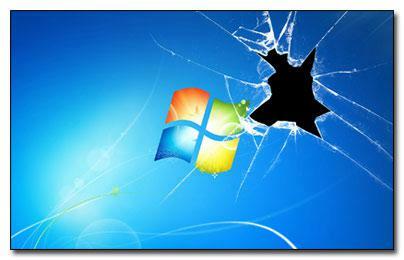 Microsoft Windows 7: Illustrated Introductory. Boston: Couse Technology/Cengage Learning, 2010: 8-9. AD No. 174n36 (April 12, 2014). AD No. 89n20 (March 29, 2006). Jacoby, Jacob, Wayne D. Hoyer, and David A. Sheluga. Miscomprehension of Televised Communications. New York City: The Educational Foundation of the American Association of Advertising Agencies, 1980: 166. Furness, Hannah. “Books Are Now Status Symbols.” The Sunday Telegraph 29 May 2016: 1+. Eisler, Dan. “Bicentennial Booknotes.” E-mail to Rob Eisler et al., 1 Jul. 2016. Bruen, Ken, and Jason Starr. PIMP. London: Hard Case Crime, 2016. Siegel, Jeff. “A New Harvest.” Texas Journey Jul./Aug. 2016: 24-28. D. Eisler. Letter to Lynn Eisler, 21 May 2016. Freeman, Doug. “We Can’t Make It Here Anymore.” AC 27 May 2016: 58-59+; King, Michael. “Pushed Out.” AC 27 May 2016: 10+. King. “Getting at Affordability.” AC 27 May 2016: 14. King. “Council: Escape From City Hall!” AC 1 Jul. 2016: 12; Russell, Debbie. “Body Camera Cost Challenge.” Nokoa 23 Jun. 2016: 2. Wear, Ben. “MoPac Toll Project’s Newest Deadlines Look Hard to Reach.” AAS 31 May 2016: B1+. Barbaro, Nick. “Clowns to the Left of Us, Jokers to the Right.” AC 10 Jun. 2016: 10; Scahill, Jeremy et al. The Assassination Complex: Inside the Government's Secret Drone Warfare Program. New York City: Simon & Schuster, 2016. AD No. 178 (Nov. 6, 2014); AD No. 185 (Nov. 17, 2015); Puga, Eric. “Cold Front.” AC 13 May 2016: 52+. Watson, Brandon. “Eminent Domain.” AC 24 Jun. 2016: 36-38. AD No. 48n17 (Mar. 10, 2003); AD No. 150n61 (April 16, 2012); Hernandez, Raoul. “Jimmie Vaughan & Tilt-a-Whirl.” AC 13 May 2013: 72. “Community.” AC 27 May 2016: 33. AD No. 188n31 (May 11, 2016). “Now Open.” CIN May 2016, Northwest Austin ed. : 7; “Now Open.” CIN Jun. 2016, Northwest Austin ed. : 4, 6. “Closings.” CIN May 2016, Northwest Austin ed. : 5.